The Wine Institute of California invites you to a Charity Tasting Event. 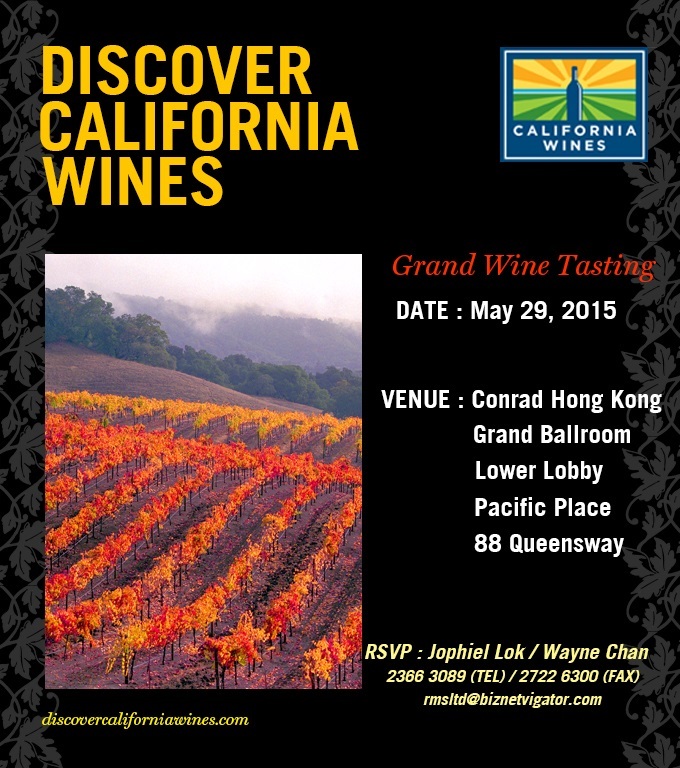 For a small fee of HK$100 per person, you can enjoy the wines of famous California wineries at Conrad Hong Kong Hotel. Only persons aged 18 or above are allowed to this event. Tickets are limited and are sold on a first-come, first-served basis.